Children’s Sunday School: Classes beginning with nursery age through high school meet with their teachers in their individual classrooms starting at 9 am. (Contact: Gail Duncan) Classes begin on September 10, 2017. Children ages 3 to kindergarten are dismissed for Junior Church following worship time. Each week a Bible story is read followed by a simple craft, free play, and a snack. We also sing songs or play games. This is a playgroup on Tuesday mornings for children ages 3 to school age whose moms attend the Women with Young Children Small Group. Our theme is “He’s got the whole world in His hands.” The children are issued “passports,” and we learn about various peoples, cultures, and languages. A snack is provided, often featuring foods from the country we are studying. 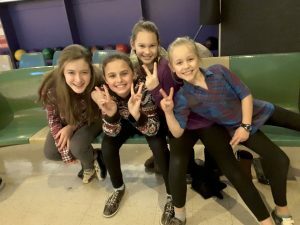 Tween Girls: A ministry for girls in grades 4 – 6 designed to build relationships with each other and strengthen their individual relationship with Jesus Christ. In today’s rapidly changing – fast-paced society, children often feel insecure and vulnerable. This small group gives girls a place to belong and experience God’s love through caring relationships. It builds discipleship skills and allows for outreach to others. Gatherings occur twice a month and include a short devotion, a time of prayer, and fun activities. Christmas Children’s Musical: A quality musical production presented on the first Saturday and Sunday in December. 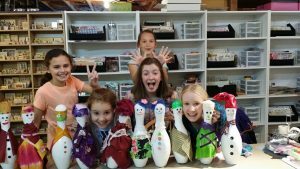 Children who participate attend twice weekly practice sessions throughout the month of November. Extensive behind the scenes adult support is also required in the way of costume, scenery and technical services. Vacation Bible School – Weeklong program for children held jointly with the First Baptist Church of North Adams in July.